In a day this gloomy and wet, it's hard to imagine that summer ever happened. But hey, that's not an excuse to come in to work (or wherever you're going) looking like a drowned rat! Or even a rat expecting to be drowned for that matter. Er. Well my point is that it's important to have some life and color on your face whatever the season is, which is where the Benefit Cabana Glama Makeup Kit (P2,000) comes in! This palette has everything you need to fake that glowy summer tan. 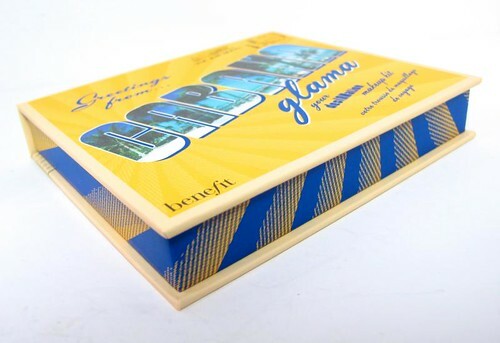 In keeping with my past experience with Benefit products, the items inside are well-formulated and designed to flatter. Here I will discuss them one by one! Some-Kind-A-Gorgeous Foundation Faker. This is an interesting product - it's a cream foundation that has barely any coverage. It does have a tint though and smoothens skin wonderfully! It matches medium skin like mine perfectly, but if you're light, you will get the appearance of a slight tan. This sample size is good for about 6-10 uses, from my estimate. I would recommend this for girls with good skin already. 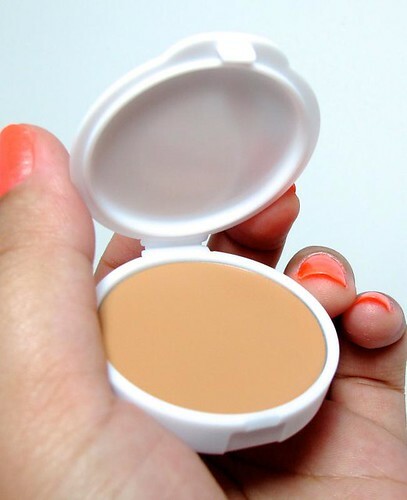 Otherwise, you can use this if you just want an even-toned face. Just conceal your marks and set with your preferred powder. Benefit blush in Hoola. I love this one! Out of all the contouring powders I've tried (including the NARS Laguna Bronzer) I think this one best fits my skin tone. 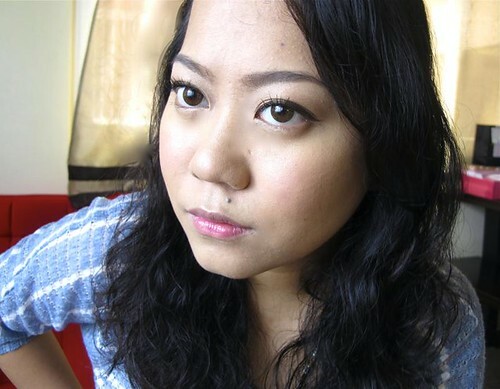 NARS Laguna has a bit of a bronzey orange tint - not too much but that makes this powder more appropriate as a bronzer. For contouring, a matte tan-brown shade that creates natural-looking cheekbones is the best choice. Something like Hoola. 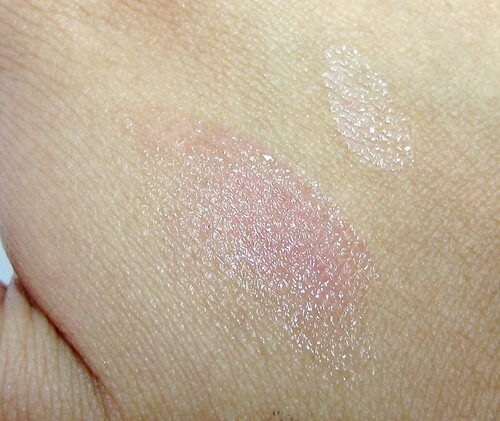 I love that it stays put all day, although I do have to be careful about application since it's REALLY pigmented. I usually take off most of it from my brush before blending it to my face. I'm considering getting the full size when I run out! I think it's P1,600. 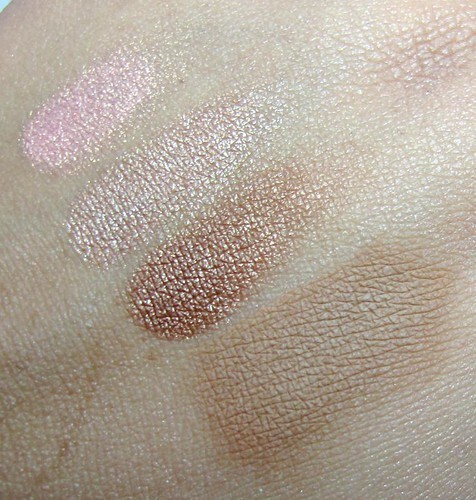 Eyeshadows in Peach Fizz, Bronze Buzz, and Cocoa Pizzazz. Cute names eh? The shades are gorgeous as well! Peach Fizz is a golden pink shade that's a great lid color; Bronze Buzz looks more like a dirty champagne; while Cocoa Pizzazz is a rich metallic bronze. These shadows are incredibly smooth and pigmented - you can use them without a base. Posietint. I like Posietint a lot, although it does take me a few layers to get a good pink going on my medium tone. I don't mind it so much actually because I prefer to have more control in how pigmented I want my tint to be. A more pigmented tint is definitely harder to use! And here is a look I did using the whole Benefit Cabana Glama palette! 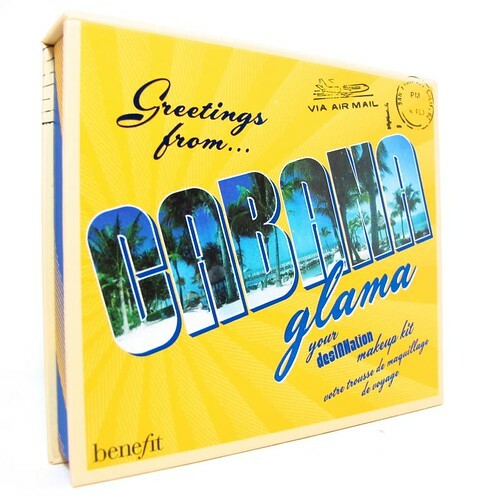 Overall, the Benefit Cabana Glama is a fab palette that has products handpicked to give you a natural, summer look. 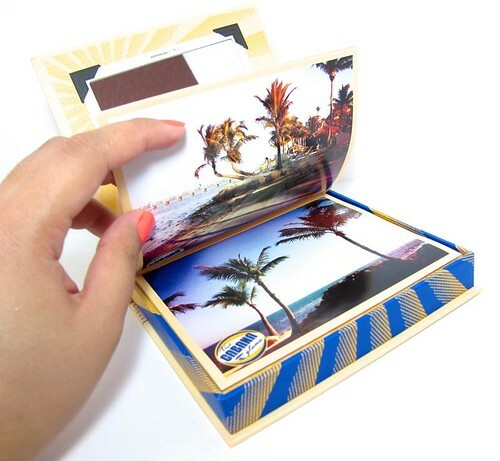 It has some products worth buying in full size, such as Hoola, the eyeshadows, and Posietint. And that's it. ;) Let me know if you've tried this palette and how it went for you! Or if it's something you think is worth getting! You can follow Benefit on Facebook, and find them in Greenbelt 5 and Rustans Shangri-La. LAB SERIES: Men have needs too!